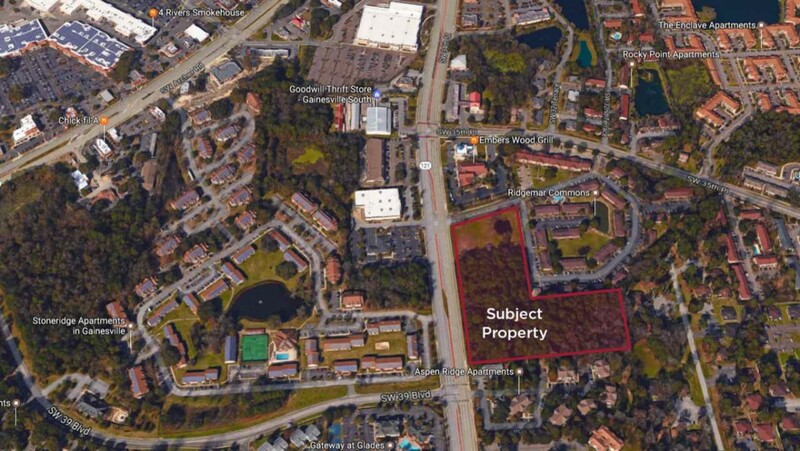 Fantastic opportunity to own and develop two contiguous mixed-use (MU-1) zoned parcels with direct frontage on SW 34th Street in very close proximity to the Archer Road retail corridor and the University of Florida. The site allows for up to 260 units of multi-family and 50,000 SF of commercial space. Call for details. Excellent frontage along SW 34th Street in close proximity to Archer Road, Gainesville's hottest retail corridor. The site also has convenient access to I-75 by way of Williston Road or Archer Road. Sits within 1.5 miles to the University of Florida, UF Health Teaching Hospital, the VA and more.